WASHINGTON (NRB) – There will be an unprecedented rollout of content for the faith entertainment space during Proclaim 19, the NRB International Christian Media Convention in Anaheim, California, March 26-29, where thousands of Christian media and ministry professionals will gather to make strategic connections, to acquire new resources, and to discover the latest tips, trends, and insights in their respective field of work. Kingdom Studios, a partnership between the creators of I Can Only Imagine and LionsgateTM, will reveal its unprecedented lineup of content exclusively at Proclaim 19 during the Super Session on Wednesday, March 27, at 4 p.m. PT in Platinum Ballroom 5,6 of the Anaheim Marriott. The session will feature a celebrity lineup including Jon and Andy Erwin, Kevin Downes, Jeremy Camp, Greg Laurie, Madeline Carroll, an executive from Lionsgate, and a live performance from for KING & COUNTRY. 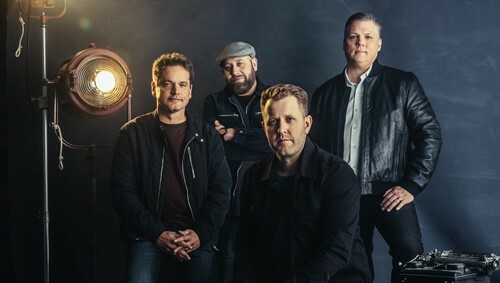 The company, which is the Diamond Sponsor of Proclaim 19, recently announced I Still Believe, the uplifting true life story of Christian music megastar Jeremy Camp, as their next film. Every year, the National Religious Broadcasters’ (NRB) Convention draws a wide range of participants, including radio and TV station owners and operators, pastors, church media professionals, radio and TV program producers, college educators, students, filmmakers, Web and mobile developers, social media managers, marketing representatives, and ministry staff members. Unplanned, the film adaptation of Abby Johnson’s best-selling book of the same title (March 29, Marriott – Marquis North). Also notable at Proclaim 19, the TV & Film Summit will feature keynote addresses from speakers including Erwin McManus, DeVon Franklin, and Alex Kendrick. It will also feature a “Women in Entertainment” panel featuring Shari Rigby, Madeline Carroll, Priscilla Shirer, and more. The TV & Film Summit on March 27 is one of the four industry summits that will take place during the week of the Convention. Others include the Great Commission Summit (March 25), the Radio Summit (March 28), and the Digital Media Summit (March 29). In total, Proclaim 19 will feature more than 100 speakers at various sessions, including Tony Evans, Rick Warren, Mike Lindell, Mike Huckabee, Joni Eareckson Tada, Ambassador Sam Brownback, and H.B. Charles Jr. The emcees of the Convention will be twin brothers, authors, and entrepreneurs David and Jason Benham. Another major feature of the annual gathering is the award-winning Exposition, the world’s largest marketplace dedicated to Christian media and ministry professionals seeking to harness the power of electronic media to spread the Gospel. Showcasing their products and services will be around 200 companies, ministries, and organizations, including broadcasters, nonprofits, educational institutions, publishers, media agencies, and broadcast equipment and software companies. In addition, there will be educational “101” sessions held throughout the Convention on the Expo floor for the following industry areas: church media, film, radio, and TV. There is also a Learning Arena and a virtual reality theater that will be showing 7 Miracles, the very first feature-length film in VR. Proclaim 19 will be held March 26-29 at the Anaheim Convention Center in Anaheim, California. The Exposition will officially open its doors Wednesday, March 27, at 8:20 a.m.
Convention details can be found at nrbconvention.org. Credentialed members of the news media interested in covering Proclaim 19 may apply for press passes at nrb.org/pressregistration.